Breakups are unfortunate but they happen. As of March 21, Mailchimp announced heartbreaking news for Shopify stores. It will no longer be in the Shopify App Store and its integration with Shopify will discontinue on or before May 12, 2019. This decision will abruptly impact a lot of Shopify stores that depend on Mailchimp’s email marketing automation service. Uncertain about this change or what it means to you? What’s your next step? If you’re worried about your future email marketing campaigns, you don’t have to scrap your email marketing ideas all at once and get back from scratch. Mailbot is one of the best MailChimp alternatives if you wish to switch to a new email marketing tool. But before you look for MailChimp alternatives, let’s understand more about this sudden pull out from Shopify and what it really means for your online store. This will give you more perspective as you consider alternative email marketing tools out there. Why MailChimp and Shopify are breaking up? Like any relationships, differences cause the breakup. Both Shopify and MailChimp have shifted their goals and pivoted their business directions. MailChimp cited that they have pulled from the Shopify store because of Shopify’s update on their data sharing provision that could negatively impact MailChimp’s business and their customers. This data sharing provision is from Shopify Partner Program Agreement that requires Shopify apps to synchronize their customer information captured on merchant’s online stores and email opt-out preferences. MailChimp refused to accept these terms because they felt that this could jeopardize their users’ privacy. On the other hand, Shopify responded that MailChimp’s refusal to respect their Partner Program Agreement made them not to shy away from making the tough decision of cutting ties with MailChimp. They also added that they won’t put their merchants’ trust at risk. All the data captured on behalf of their merchants will still belong to those merchants and not Shopify’s. While MailChimp has identified several workarounds for their existing Shopify clients, they all require manual interventions. The idea of an email marketing solution is to automate the process and not to create more arduous tasks on your end. Shopify said that there are no immediate changes for merchants that are currently using MailChimp. However, while there are no unexpected changes to be made, you should already be preparing to look for an alternative email marketing app that integrates well with Shopify. This will ensure that you have a smooth merchant experience in Shopify and any latest release or developments are covered. The keyword for an email marketing automation tool is ‘automation’. You want a reliable tool that suits your business needs even without exerting much time and effort. As Shopify store owners, MailChimp could no longer provide that same level of service and convenience for you. For one, if you will continue using MailChimp as your Shopify store email marketing service, you need to do manual interventions from time to time. Second, you won’t really be sure if everything is in accordance with Shopify specifications. Any updates from Shopify won’t be real time. Lastly, again you’re investing to automate and not to give you more worries and headaches. To help you accomplish more even by working a little less, MailBot is one of the perfect MailChimp alternatives. It is a well-tested and time-proven email marketing service that gives you more value for money. 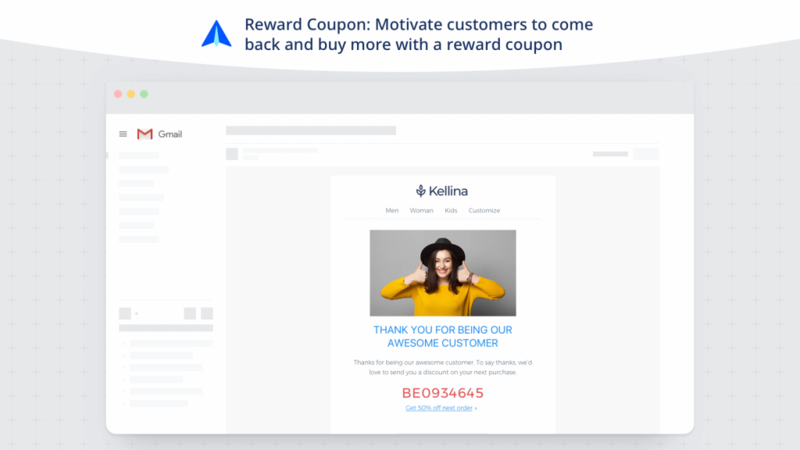 Aside from advanced automation and easy Shopify integration, you can create email marketing campaigns depending on your needs: boost conversion, enhance customer loyalty, or increase customer retention. 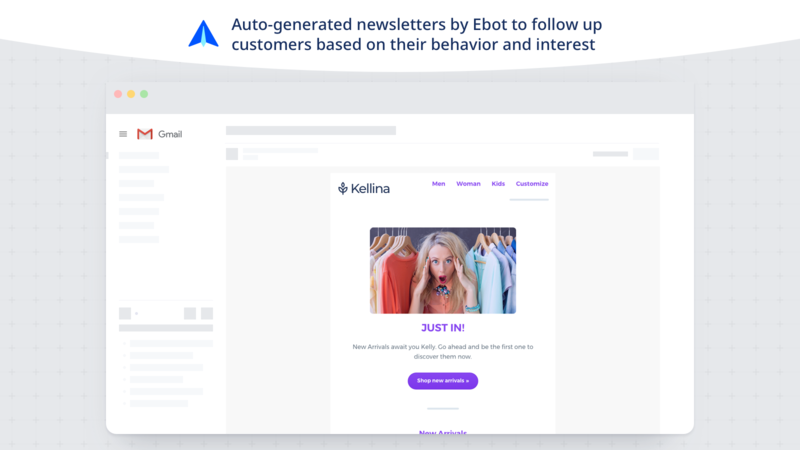 With Mailbot, you can set up highly targeted email marketing campaigns by sending personalized emails automatically triggered based on specific customer behaviors and actions or draft and schedule pre-made marketing campaigns instantly every week. This allows you to connect with your email leads and drive them to buy from your online store. New Arrivals: The Newsletter Bot will create an email campaign promoting your newly arrived products to your email subscribers. Site-wide recommendations: Mailbot helps you identify what your customers are interested in based on their browsing behavior and sales history. This will help you send out personalized emails with product recommendations that your customers are more likely to buy. Happy Email: Automatically send a welcome greeting to your newly signed up email subscribers to make them feel cherished. You can also send a thank you email to your customers 30 minutes after their first order. Reward Coupon: Make your most valuable customers happy with an enticing reward coupon. This will not only delight them but will also entice them to come back to your store and buy more. Sales return: For those customers who haven’t returned for 30 days, you can send them a reminder email containing the products they are interested to buy. Buy again: If you have products that are bought in cycles, you can send an email to target customers who buy periodically just in time when their inventory is low and they’re ready to buy again. 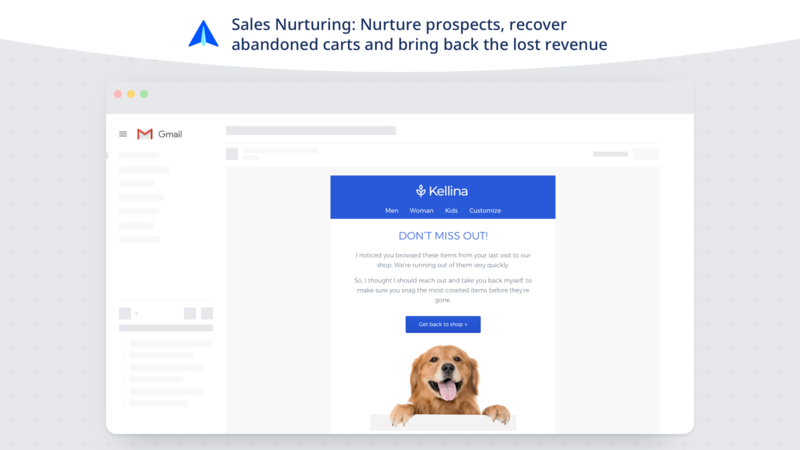 Sales nurturing: Based on your customers’ browsing and sales history, MailBot is designed to nurture your visitors who are not buying or those who have abandoned their carts to bring them back to your site and retain them as customers. Accessing MailChimp full email marketing capabilities and features can be challenging for your marketing budget, especially for small and medium businesses. MailChimp premium subscription is at $199 per month plus $30 for every additional 1,500 to 2,500 subscribers. Mailbot, on the other hand, offers one of the most affordable MailChimp alternatives. You get the value for money with its $19 per month pricing for small businesses with less than 1,000 email contacts and $49 for medium-sized businesses with 10,000 subscribers. Any addition of 10,000 customers will just cost you with $50 extra. MailBot is a perfect email marketing solution for Shopify websites that need new MailChimp alternatives. With its very flexible customer segmentation features, you have the power to send out highly targeted email marketing campaigns so you can focus on growing your online store, increasing your customer loyalty, and retaining valuable customers.